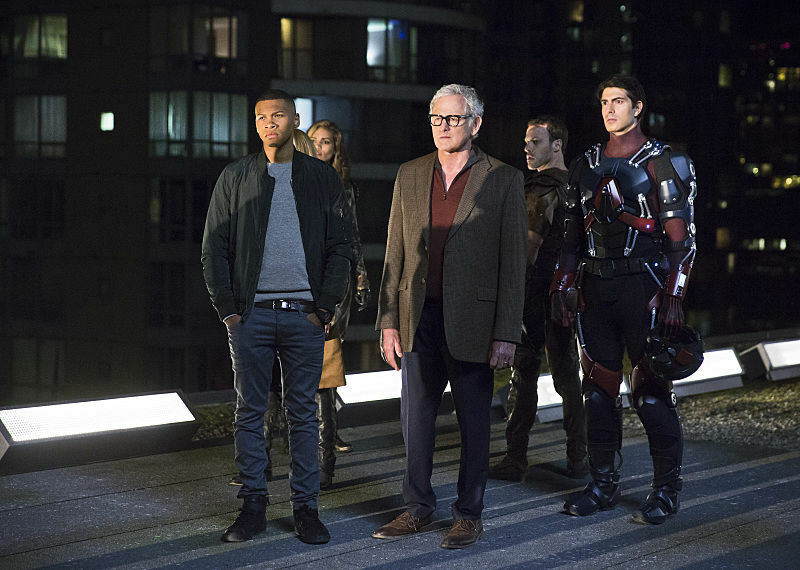 Legends of Tomorrow isn’t the worst superhero premiere I’ve seen in recent years, but it’s not near the top, either. It’s just kind of there, selfishly soaking up all the superheroes leftover from the Flash and Arrow guest appearances. 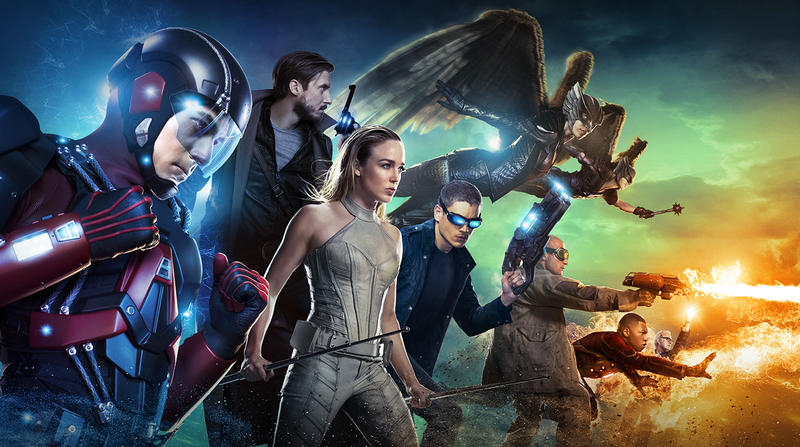 Legends follows Time Master Rip Hunter (Arthur Darvill) as he journeys from the apocalyptic year 2166 back to our present 2016 in order to assemble a group of heroes to defeat Vandal Savage, that crazy bearded dude Team Arrow and Flash beat up before the mid-season break. I considered dividing up my discussion into hit/miss categories, but I’m afraid far too much of it would be the latter. Instead, I’m going to use bullet points to talk about my feelings. Besides, I’m lazy and bullet points are easy. The opening hour is a convoluted mess of cliches and plot holes just for the sake of getting our heroes together in one place. I recognize that with 8 heroes, 9 if you include Rip, things are going to get hectic, but it felt like a Power Ranger montage, gathering all the cool kids after school in the parking lot to go beat up the bullies. 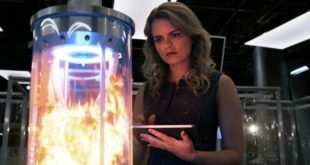 The show needs to cut F.I.R.E.S.T.O.R.M. out of the picture. On top of the token black kid getting obnoxious lines like “I can dig it”, Victor Garber doesn’t do comedy well and I foresee him being very out of place on this show. Also, he drugged a kid. Combining Sara Lance, Ray Palmer, Captain Cold, and Heatwave, however, was fantastic. If those four don’t banter weekly, I riot. I miss you, Sara. Please come back to Arrow. Now I desperately want Sara and Leonard to be a duo. Not romantically, of course, but their chemistry and coolness is the best on the show so far. And then Heatwave can get jealous. But Brandon Routh as Atom always melts my heart. His awkward insecurities and intelligence make him a perfect addition to an ensemble cast. Ray Palmer and Sara Lance train with Oliver and Laurel on the regular and we don’t see it on the other shows? What was the point of that? Are they hiding in closets while Felicity is off being Oracle-d? That being said, Rip Hunter is awful. I have zero connection to his character and watching him gave me flashbacks to Constantine. Why do I care about the future when Zoom and Darhk and rampaging about? I’m sorry about your wife and kid, but that bomb was dropped way too early for me to care. I’m sorry, I know people like the actor who plays Rip Hunter because he’s from Doctor Who but I hate him. After one episode I wouldn’t follow that dude to a free dessert shop if it meant I had to converse with him along the way. He’s bland and not at all how I imagine the character should be. Hawkman and Hawkgirl are probably the best of the bunch, if only because they have the most logical reason to be fighting Savage. They’re pretty vanilla as far as characters but that’s the case for most of Team Legend, otherwise they’d be staples on other shows. Vandal Savage needs to up his game. He doesn’t seem to have any real power other than the ability to create a lifetime supply of hair grease. If he’s the big bad, he’s going to have to be more memorable. Hawkman’s constant “you do totally love me” reminders are creepy, right? I wish the show had started in the action. If anyone is watching Legends, they’re already a fan of Arrow or Flash, so there isn’t much need to introduce the characters slowly, one by one. Instead, it should have started with the crew on the Waverunner, doing their respective jobs. 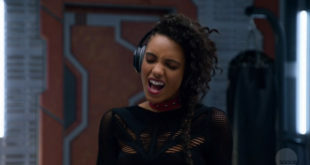 And I think it’d have been better if Rip had pandered a little more to each characters’ strengths–coerce Ray by telling him about the technology, Sara to fulfill her bloodlust by killing for good, the Hawks to get revenge on Savage, the Weathers the chance to steal big technology or some nonsense–instead of just kidnapping Men in Black-style and saying it’s “for the good of humanity.” The pilot is labeled as two parts, anyway. If you’re going to take time to give pointless exposition, do it for the characters, not the setting. Goodness. Overall, I don’t think Legends is off to a bad start, it just focused too much on the backstory instead of the characters. I expect, hope, in a few episodes it will find its footing. Next ‘Heroes Reborn’: Who is Nathan and Malina’s Biological Father?